eGift Cards | Art Rave Inc.
Our electronic Art Rave gift card can be used on any Art Rave purchase: public events, private parties, or Art Rave in a Box! 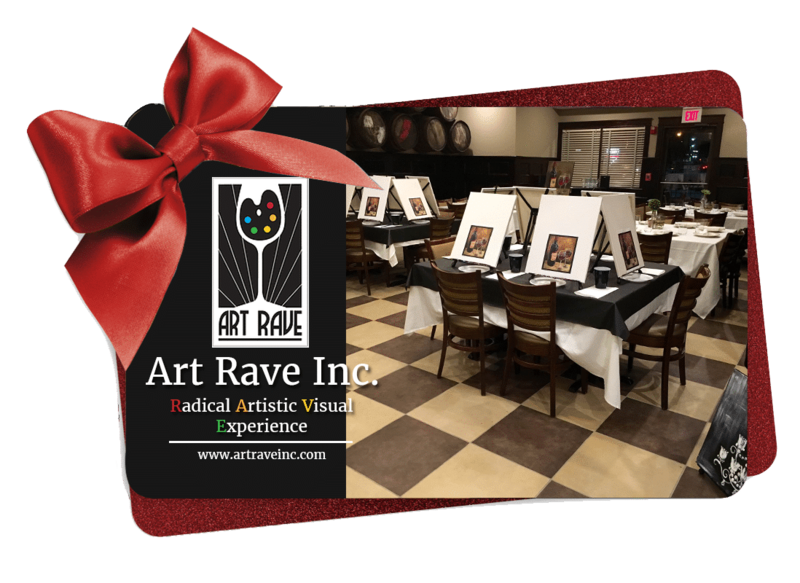 Art Rave eGift Card makes a great gift! Have someone who cant’t get enough of Art Rave? This is the gift for them! Works just like standard gift card, but its completely electronic. Outstanding balance is kept online for you, and the electronic gift cards never expire! Paper Gift Cards also available upon request.